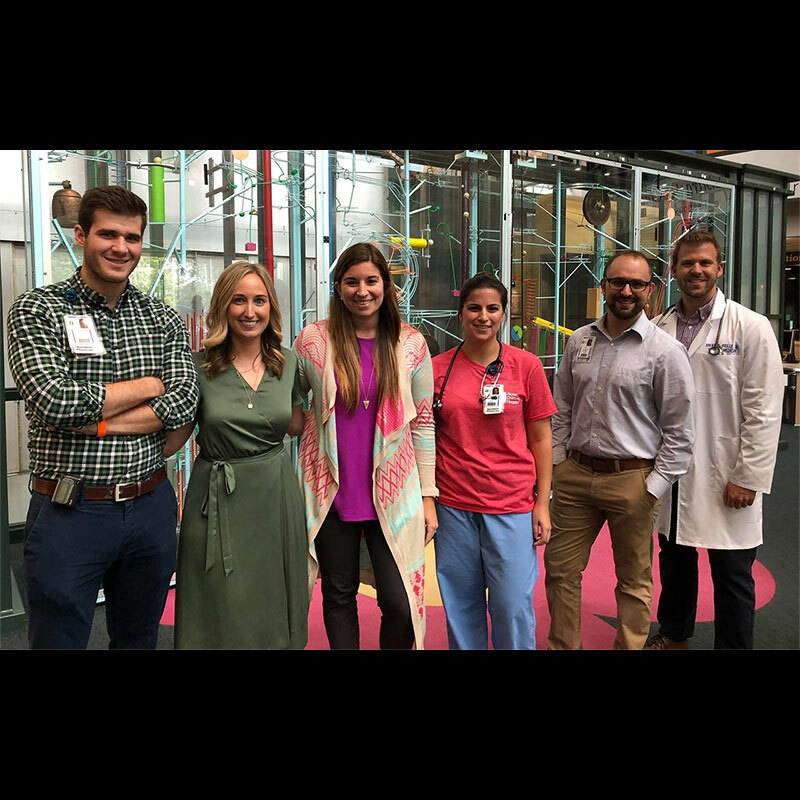 Home was at the heart of our top “In the Moment” posts during January, whether it was our patients making their way home, or our growing home in northeast Ohio. We invite you to take a glance at those you may have missed, or a second peek at those you’ve already enjoyed. 1. Eva DeVenture’s end of treatment send-off at our Showers Family Center for Childhood Cancer and Blood Disorders was a real party! And she was ready for it after battling leukemia for 2 1/2 years. Way to go, Eva! 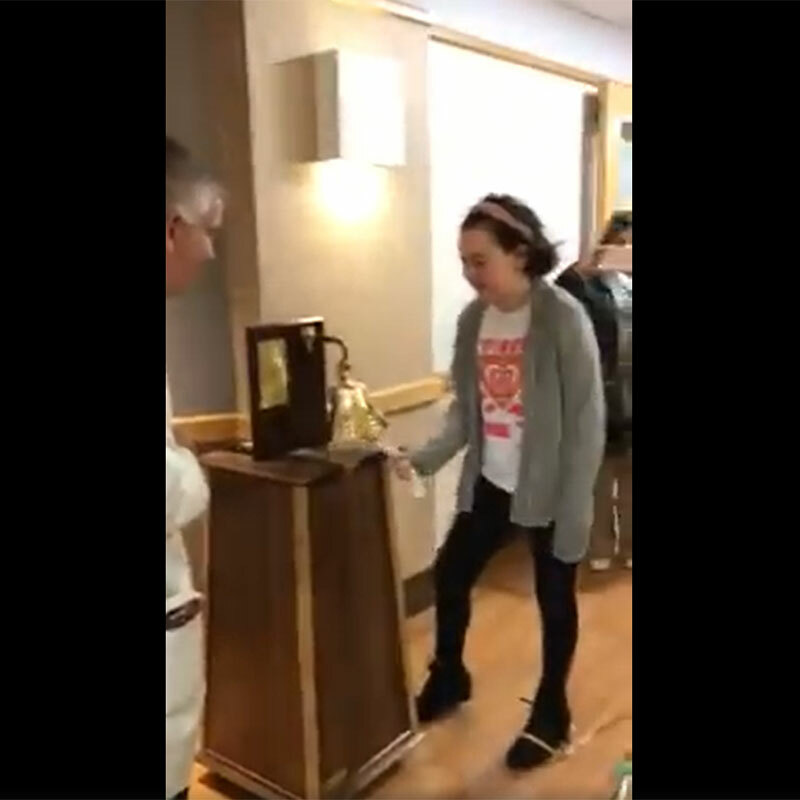 Eva DeVenture rings the end-of-treatment bell! 2. There were sweet dreams in Mansfield for 11-month-old Stephen Hill, who spent his first night at home with his family. 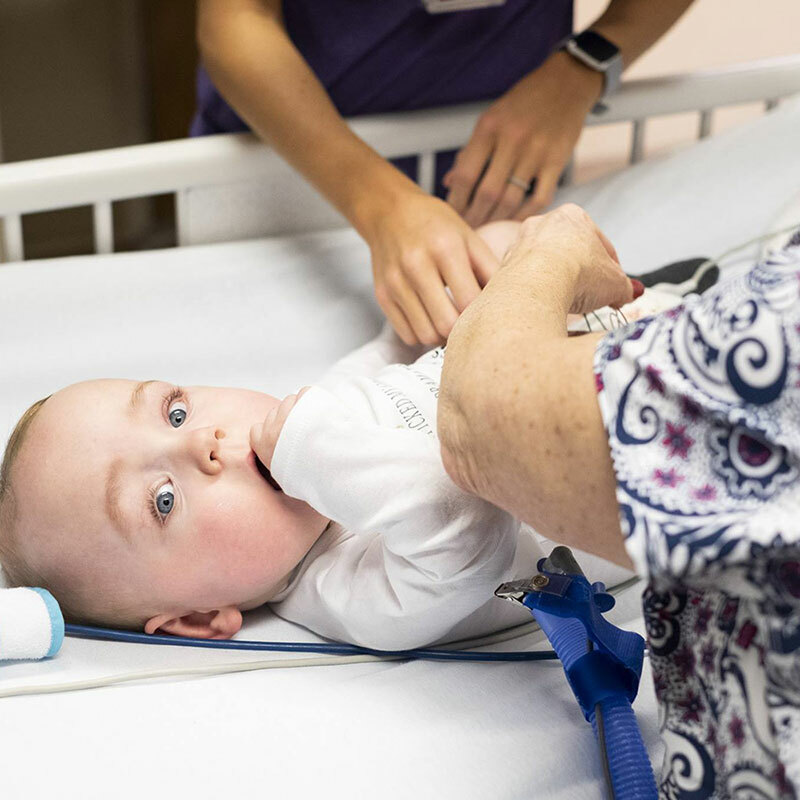 His parents, Brittany and Evan, were thrilled that Stephen, who was born at 25 weeks gestation, had progressed enough to be discharged from the neonatal intensive care unit, his home since day 1. NICU nurses helped get Stephen ready for discharge on the morning of January 22. 3. 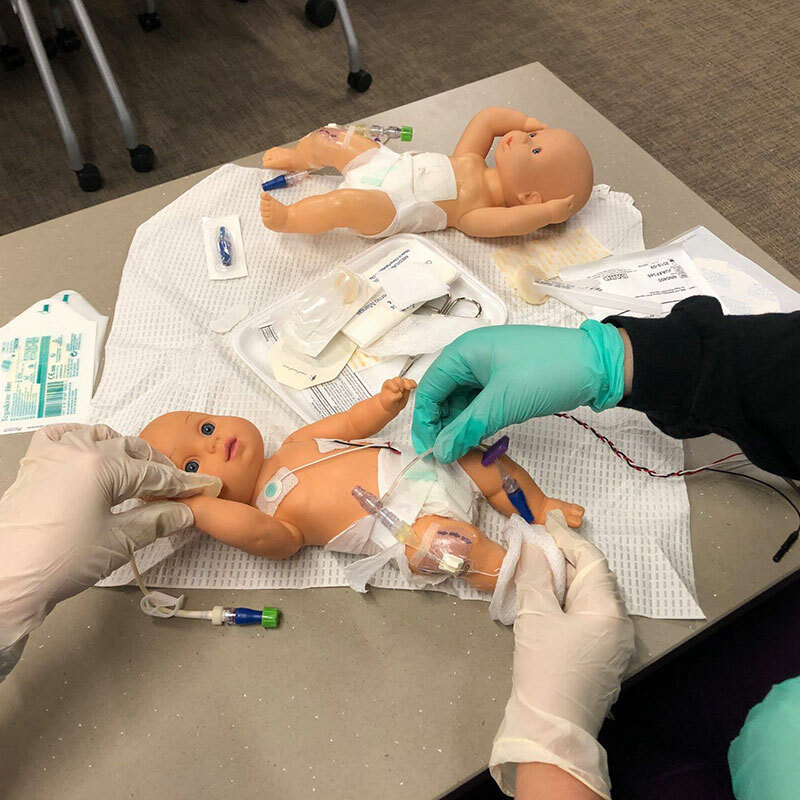 Our NICU administration celebrated the nursing staff’s diligence to eliminate central line associated bloodstream infections (CLABSI) over the last 2 years in the Akron unit. A huge accomplishment! On any given day, about 15-20 of the unit’s 60 patients have a central line to receive medication or fluids or to collect blood for testing. 4. We are bringing convenient pediatric care close to home with the opening of 3 new Health Centers in 2019 in Mansfield, North Canton and Boston Heights, as well as one in Portage County in 2020! 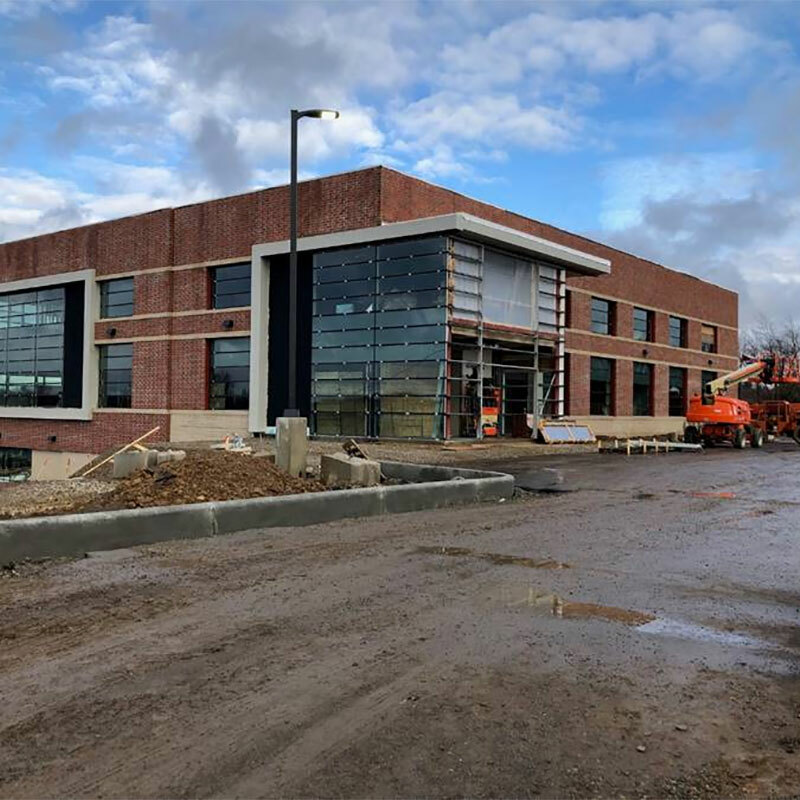 Our Timken Foundation Building at Akron Children’s Health Center, North Canton will open May 21 at 6076 Whipple Ave. N.W. 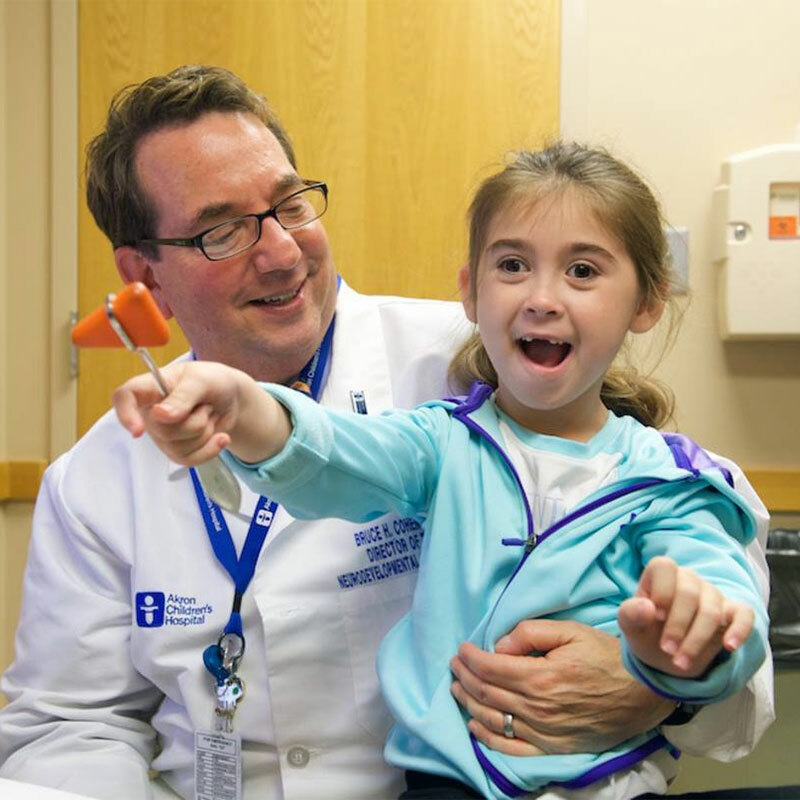 Abby MacCurtain and her family travel from Boston for appointments with Dr. Bruce H. Cohen. 6. Joey Ricci and housekeeper Nancy Moyer really bonded during Joey’s last stay in the hospital, according to his mom, Karen Ricci, who recently shared their story with us. 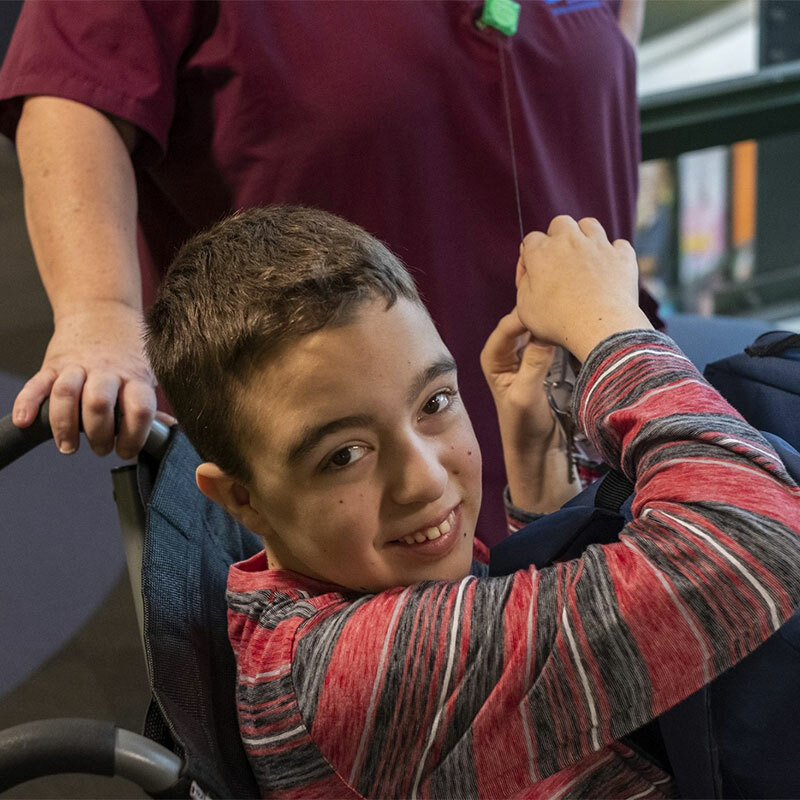 Joey, who just celebrated his 15th birthday, was diagnosed with ulcerative colitis during his last hospital stay. He also visits Akron Children’s for mitochondrial disease, 4q21 chromosome deletion and polycystic kidney disease. 7. We couldn’t believe 7 of our 60 residents were classmates at St. Hilary School (Akron, OH)! From left to right: Drs. Chris Sarkis, Christine Bacha, Nicole Shovlin, Carolyn Vespoli, T.J. Wolski, Brian Reilly. Not pictured: Dr. Ethan Scott. 8. 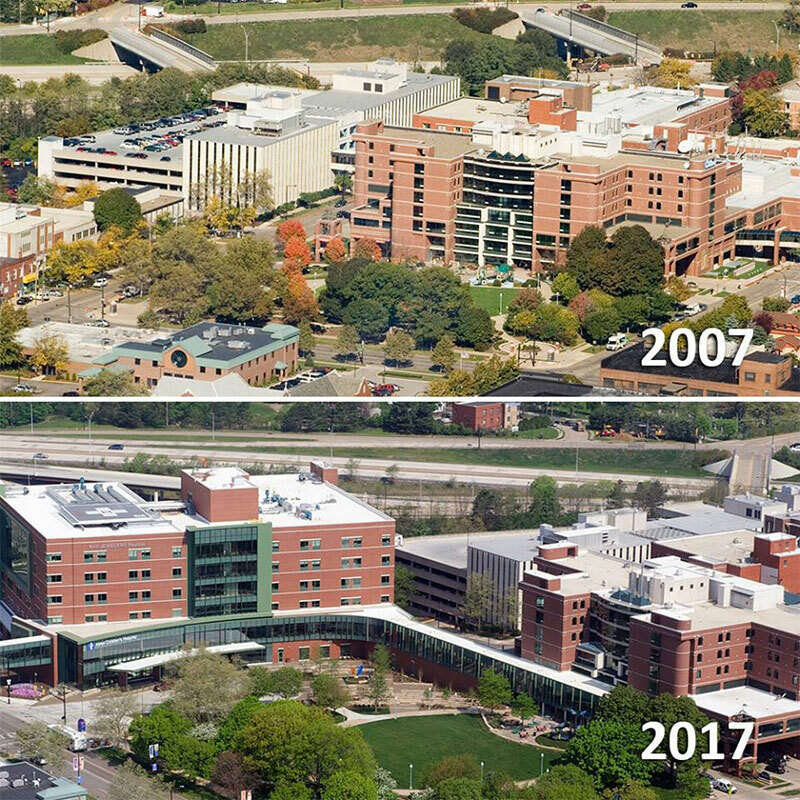 We’ve loved seeing how our followers and patients have grown over the past 10 years or so in the #10yearchallenge! Our campus has also seen an incredible transformation over the past decade, as these photos show. The hospital is 127 years old, but has really grown in size and stature in the last 10 years or so. 9. 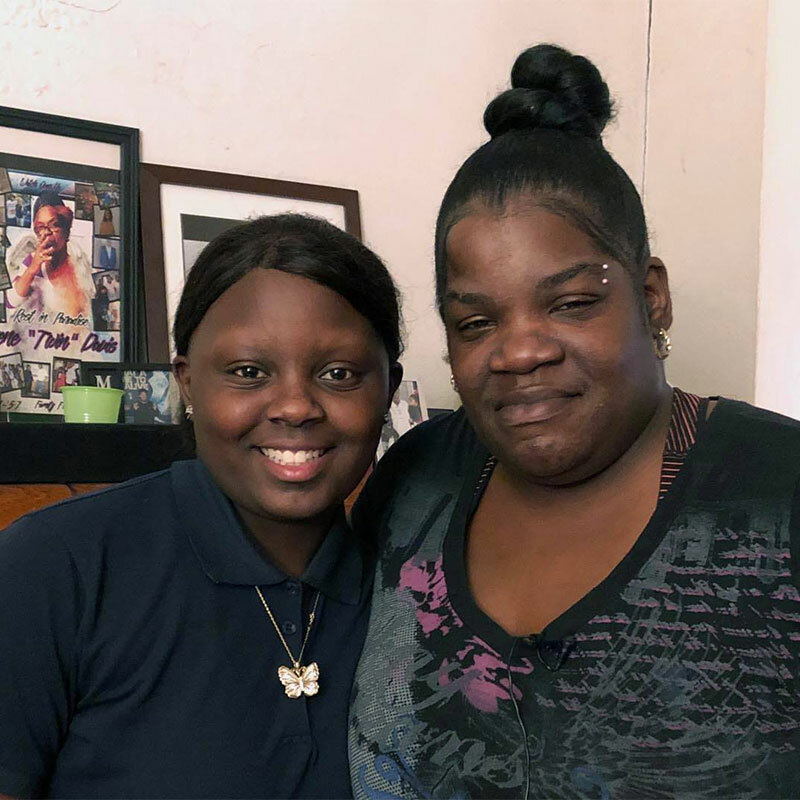 Kiniaya Parham suffers from #asthma, but our new program with Summit County Public Health is helping her and her mom Eugenia Davis identify and remove triggers in their Akron home. To help control her asthma symptoms, the 13-year-old Akros Middle School student has an inhaler, a spacer and a nebulizer. She also takes several medications, including a nasal spray and eye drops. 10. She’s only 3 weeks old, but even little Elliot Lape knows you need to bundle up when the temperatures drop. 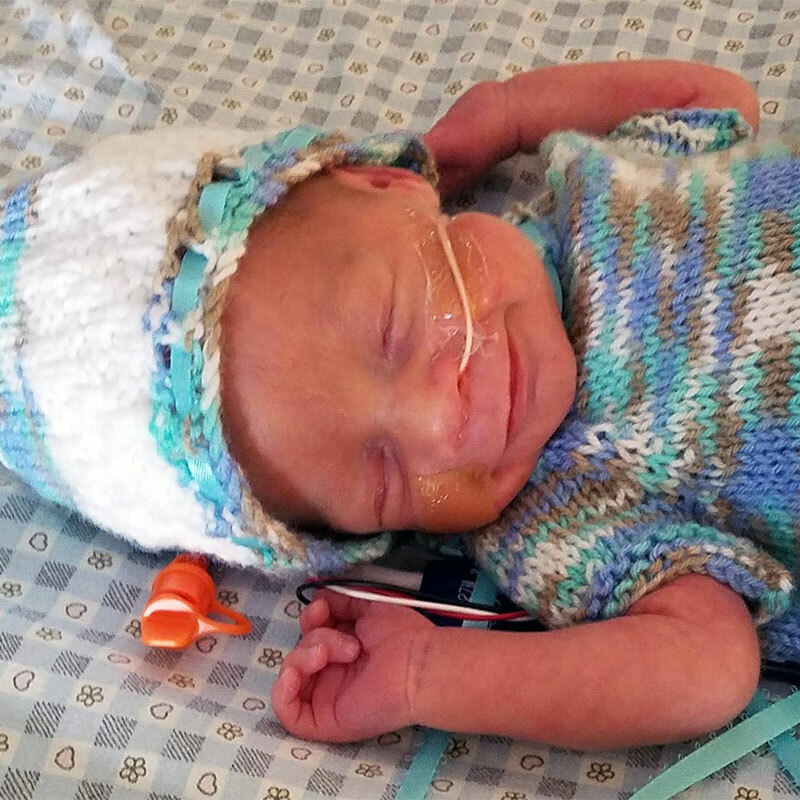 Elliot Lape is wearing one of many outfits knitted and donated to the hospital by community groups and individuals.